This review is a continuation of our series of camera bag reviews. Thus far we’ve taken a look at two bags from Think Tank Photo (the Streetwalker Backpack and the Retrospective 7), one from Lowepro (the Urban Sling), and another from Tenba (the Photo/Laptop Messenger). This time out we are looking at the Lowepro Flipside Sport 10L AW. 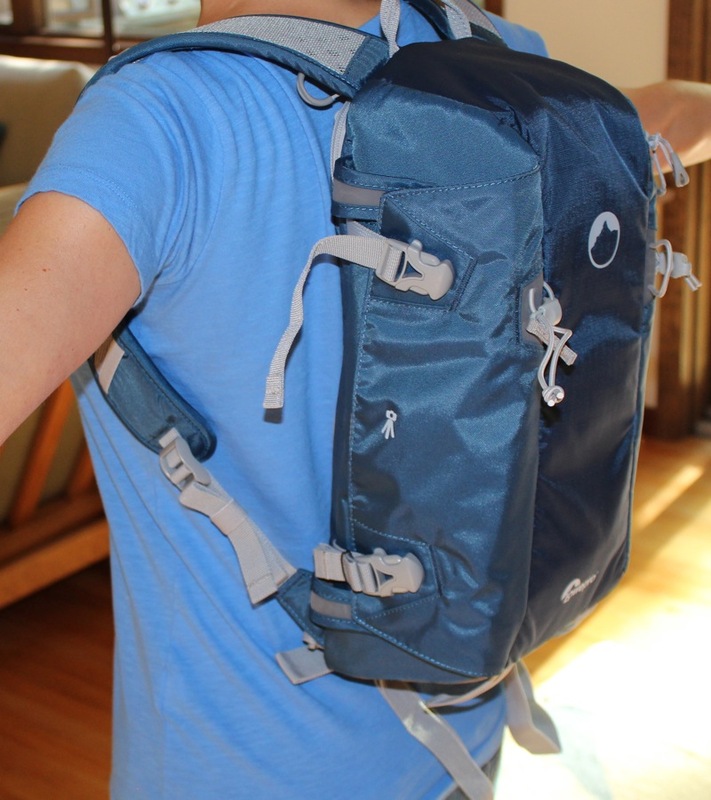 This backpack-style camera case is one of the more “activity-specific” bags we have seen. 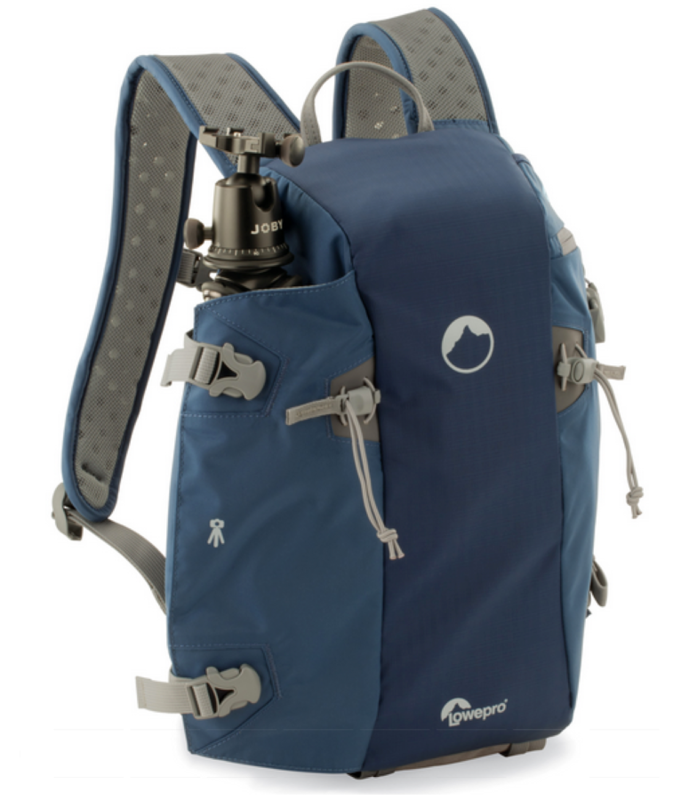 It is intended for photographers who lead an active life and are looking for a bag that is good for carrying just enough camera gear, a water bottle and a tripod. The Lowepro Flipside Sport 10L AW is a lightweight photo daypack with a sleek and low-profile shape for outdoor and action sports photographers. 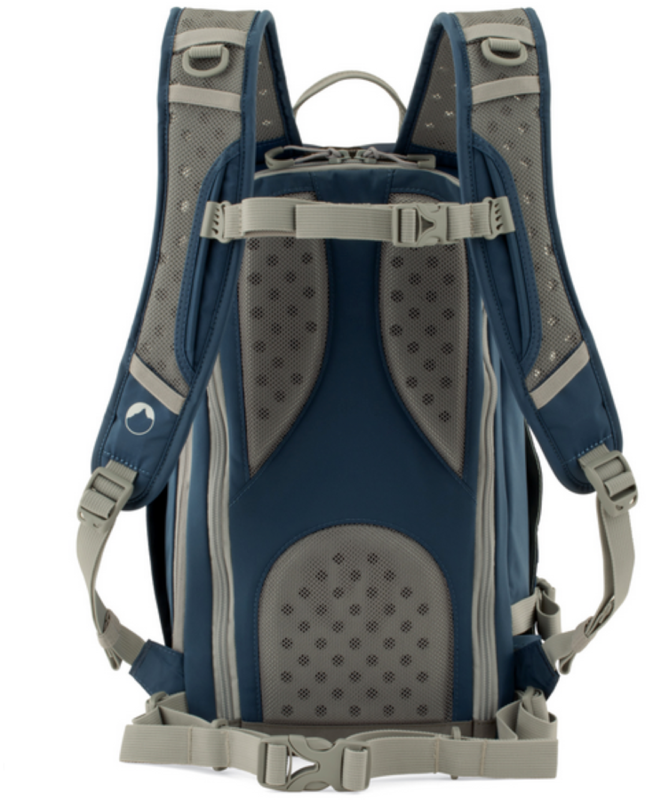 Body-side access design offers quick access to gear when pack is rotated to front, plus added security while wearing. A removable, adjustable camera compartment with storm-flap closure provides a customizable space for gear, and offers water-resistant protection while accessing gear. As was the case with the first Lowepro bag we reviewed, in fact, as has been the case with all the camera bags we have thus far seen, this bag is remarkably well-made. It is clear the amount of though and detail that went into the design of it and, as you will see in the video, while I don’t see this bag fitting my needs all that well, if you are active and a photographer it might be a great option for you. So lets run down some of the specific features in this bag using Lowepro’s own promotional images. 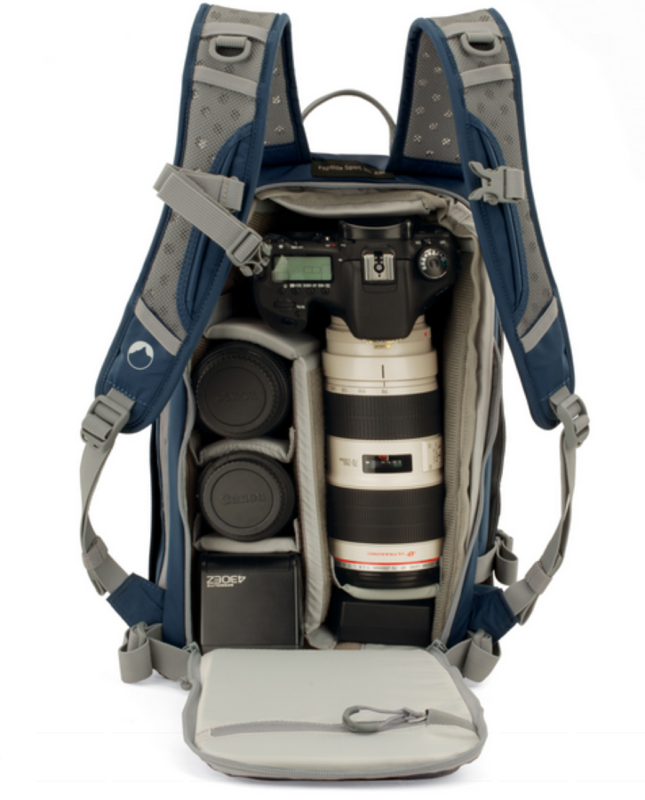 There are, as you might expect, a number of aspects to this bag which make it ideal for a photographer who is on the go. One DSLR with attached 70-200mm f/2.8 lens, 1-2 extra lenses, a flash, tripod or monopod, 1 liter hydration reservoir, and accessories. That, of course, is why a bag like this would not be good at something like CES where we need to carry far more gear than that and always try to have a tablet or computer along as well. I love the cute little water droplets and H2O marking on the side of the bag. It indicates the specific area that is “Hydration-ready”. Simply translated, you can put a water bottle in this spot. In fact, you can even have a water bottle with a straw extending out — as shown in the picture — so you can drink on the go. It is a nice detail that adds to the utility of this bag as an “active accessory”. On the other side of the bag the marking is that of a tripod rather than a water droplet. Obviously this indicates the intended use of this side system is for the “ultra-secure tripod attachment system and trekking pole attachment points”. I love the fact that the tripod isn’t simply tied in place but, instead, is almost completely covered. This minimizes the potential snagging that can happen if the legs were hanging out exposed. Again, the attention to detail is fantastic. If you are out in nature and have your gear with you there is always the chance the skies will open up. In fact, the last three days here in PA have started nice but then, quite rapidly, the skies went dark and it poured. (Yesterday it was as if a hose turned on full was coming down for well over an hour.) That being the case it is nice that this bag includes Lowepro’s “All Weather AW Cover”. The cover is easily access, put in place in seconds and doesn’t add much bulk or weight. It is another nice design detail. 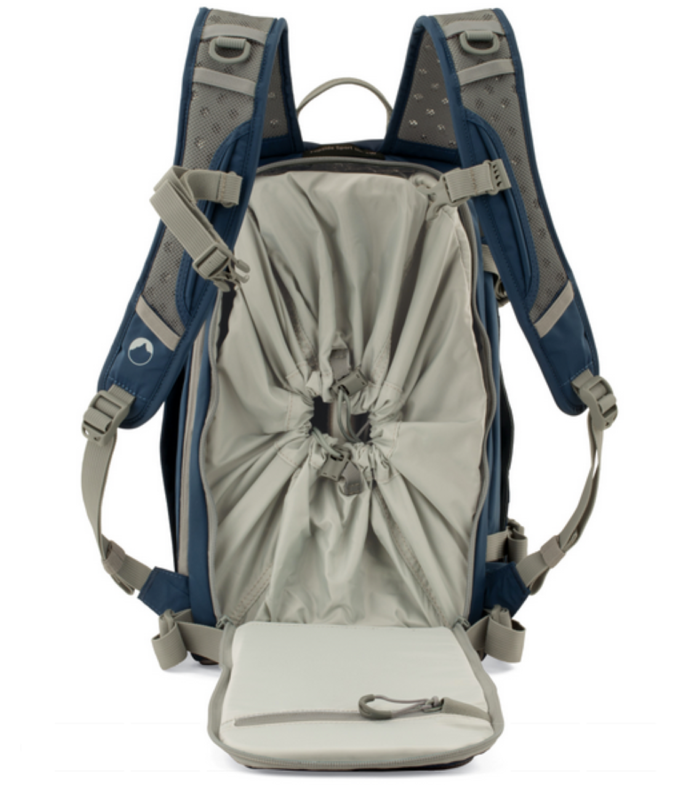 Finally, there is the overall build of this backpack using “breathable padding and multiple adjustment points”. 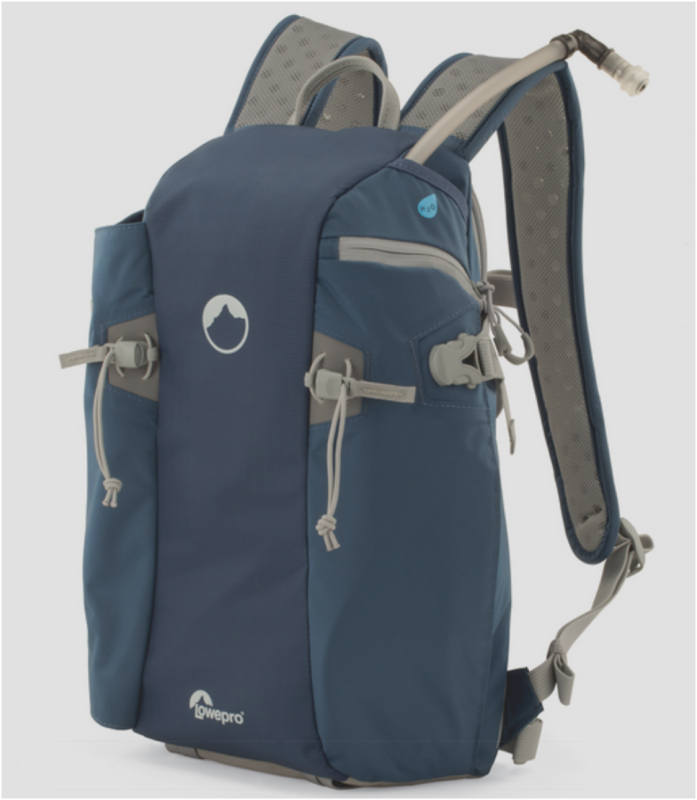 This means the bag will be comfortable for extended periods and will help keep you a bit less sweaty than you might become were the design not geared specifically toward venting as much air around and away from the points where the bag comes into contact with you back. Having the main compartment accessible from the back of the bag means you can flip the bag around, hence the name, and access your camera and gear without having to first take the bag complete off and setting it down. Oh, and the fact that the camera compartment is completely removable… love that. In all, this backpack is quite impressive. It is specifically designed for a certain type of photographer and, as such, is not going to be the bag for everyone. For those who are outdoor photographers though this is a rather impressive piece of kit and something that offers great features at a great price… with not compromise. 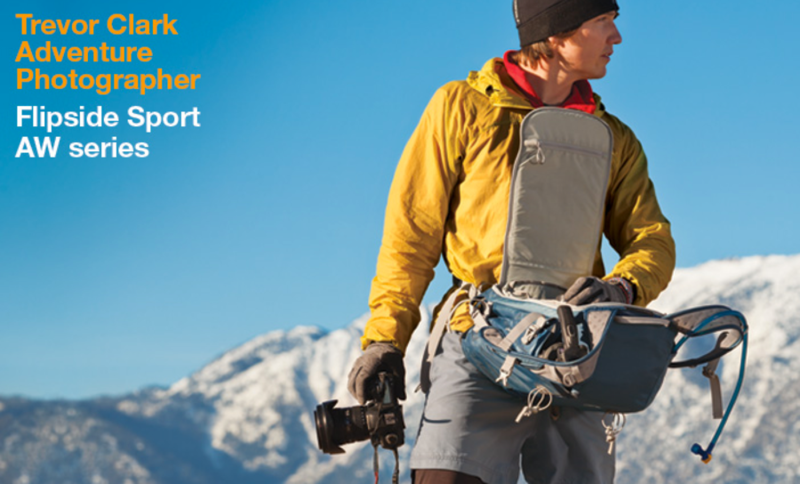 The Flipside Sport AW series is available in two sizes (15L AW and 10L AW) and two color combos: Lowepro Orange/Light Grey and Galaxy Blue/Light Grey.You can learn more here on the Lowepro website and you can order yours here through our Amazon Affiliate store for under $100.